Wonderful two-story home on almost 2 acres surrounded by countryside. 4 spacious bedrooms (2 with private baths). 3.5 Baths. Over 3200 SF above grade. Almost 600 SF in LL. Total Living SF: Over 3800. Owners suite features whirlpool tub and a huge walk-in closet. Enormous kitchen with almost 60 handles. 18x24 FR on Main. 17x22 game room in LL w stone FP. Formal LR or office on main. Awesome sunroom leads to deck. Sunsets on you front porch. Shade in evening on deck. Attached 24x29 2 car garage plus 24x24 2 car detached garage. Four 8x9 garage doors accommodate large vans or trucks. 12x35 full attic could easily be two more rooms if needed. 10 kW SunPower Solar Array with 42 SunPower 238W Panels lessens utility costs. No HOA. 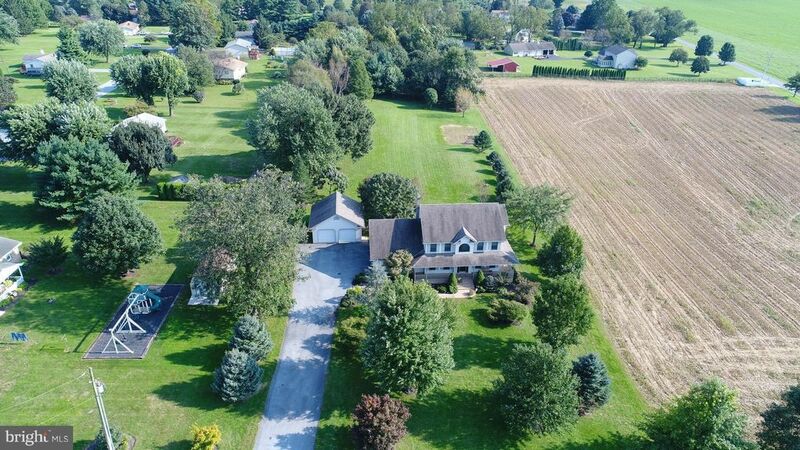 Community setting in rural location convenient to Lebanon, Berks and Lancaster Counties. (Full attic so actually a 2.5 story home) Make time to see if this is the right home for you.